I love Lush cosmetics, and the fact they are passionate about using natural substances and not testing their products on animals! Animals are cute, and just because they don't have have a voice that we can understand, doesn't mean we get to do what we want to them! 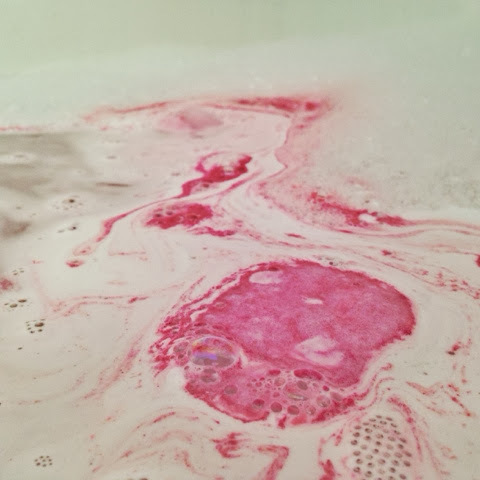 I have loved lush for a long time, but I am particularly inlove with their seasonal range! Easter saw the Carrot shaped bubble bar, Halloween was the pumpkin, and now at Christmas we have mountains and penguins and stars (oh my!) and they are just amazing! 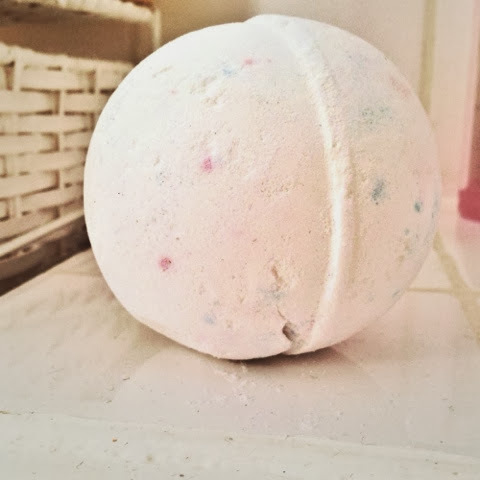 I picked up the snow ball bath bomb from the Kingston branch yesterday, and pretty much ran a bath as soon as I got home so I could use it! The woman in the store instructed that if I threw it in the bath like a snow ball it would crack open and a whole mass of stuff would come out! So in order to get the best results I stood on the toilet seat and threw it as hard as I could... In hindsight I can see that was a bad idea, as water went everywhere! BUT IT WORKED! It cracked open, and everything turned 50 shades of pink! It's quite similar to twilight, in the way it disintegrates, as it has many different layers that react really cool with the water and each other! And the insides really live up to the snowball name as it is freezing cold to touch! Overall the snowball is amazing and smells beautiful! Plus it makes the water really soft! I can't wait to go get try out the others in the Christmas range! PS. If you get a chance to try the FUN bar, then do it! The name really does give it away!